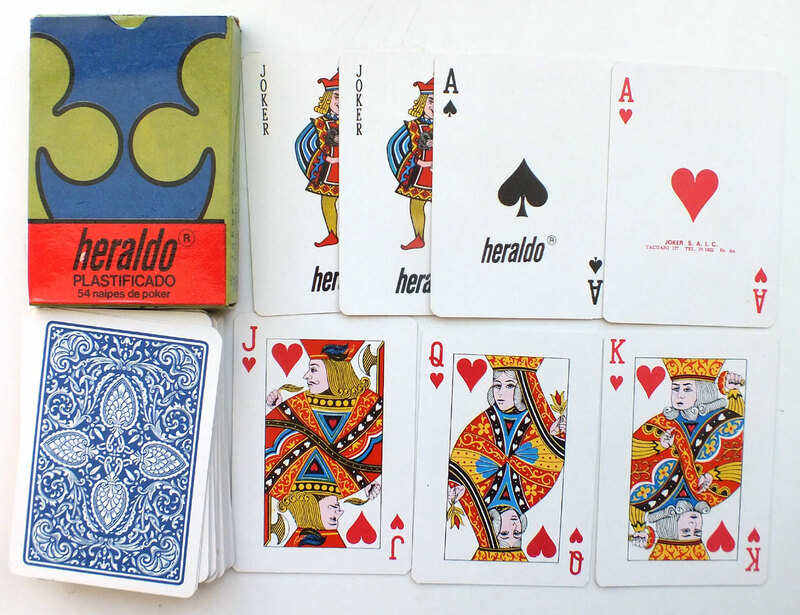 The brand is now renamed as simply ‘Heraldo’ and features new courts and joker. 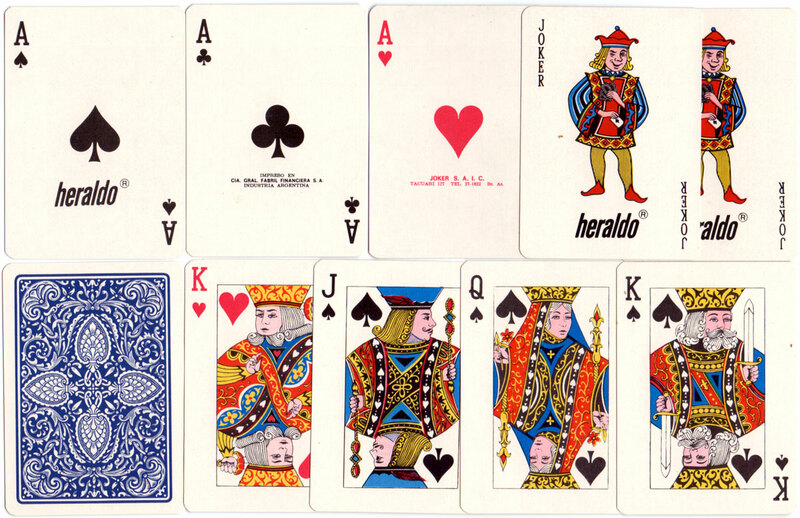 Above: cards from a later 'Heraldo' pack, with simplified aces, a new joker copied from Fournier and court cards based on those of Hallmark (USA), manufactured by Cia Fabril Financiera S.A, Iriarte 2035, Buenos Aires, c.1975-76. 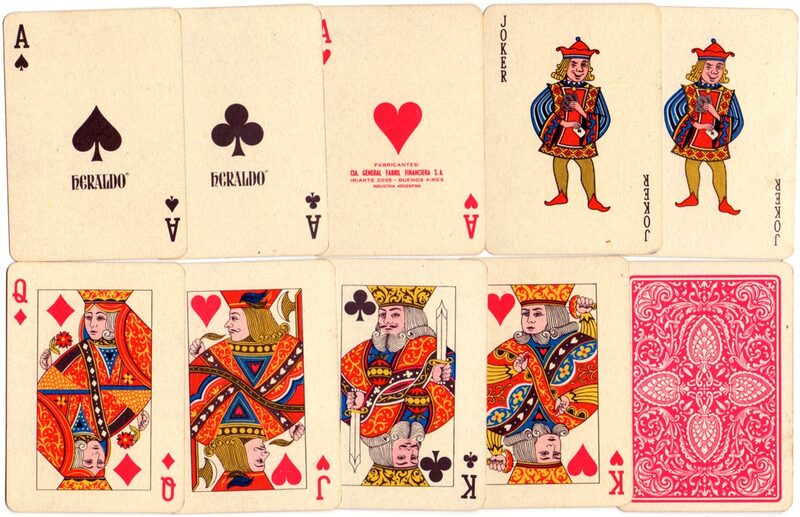 The same back design, in red or blue, has been used since the 1930s. At this time Joker S.A., of Tacaurí 127, Bs. 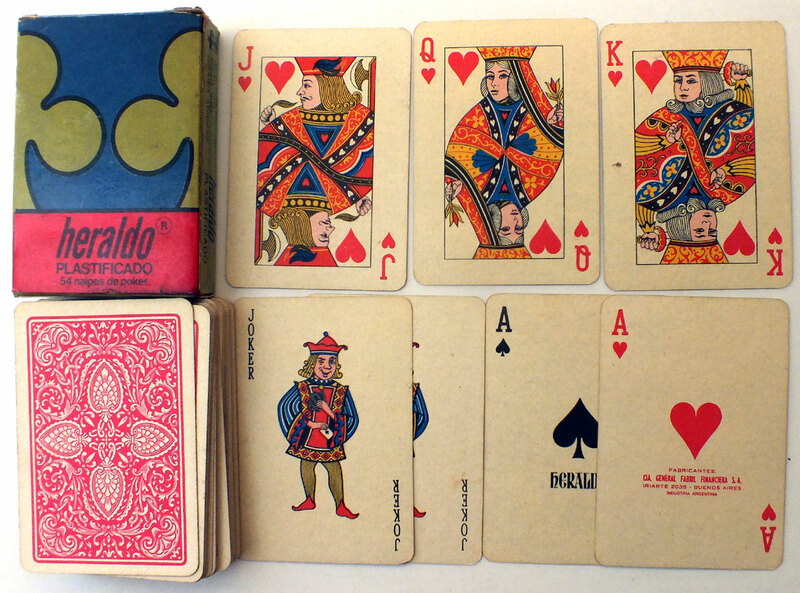 As., were acting as exclusive agents for Fabril Financiera, but in 1977 Joker S.A. became an independent playing-card publisher and took over Cia Fabril Financiera's interest.